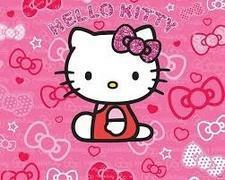 The Hello Kitty Bounce House is a great choice for your little Hello Kitty fan. Our customers have said this is one their favorite party rentals. The Hello Kitty Bounce House Tampa features a large bounce area, entry ramp and basketball hoop. Hello Kitty is unique and a rarity for bounce houses in Tampa, but you have come to the right spot. This themed Bounce House will be sure to entertain your kids for hours on end. To book click on the Book button and follow the prompts, its as easy as that. You can read more About Us by clicking the link and also take a peek at our Party Packages. For a limited time take advantage of our 10% off Sundays.